A motorhome valued at $450,000 went up in flames and was destroyed at a Florida RV dealership Wednesday afternoon (April 27), Pinellas Park, Fla., firefighters said. It happened at Parliament Coach in the High Point area of Largo, the St. Petersburg Times reported. The driver of the 38-foot Blue Bird motorhome was traveling from Naples to New York when the coach started running rough north of the Sunshine Skyway Bridge, officials said. He took the motorhome to the dealership at 3 p.m., where it started smoking, officials said. Firefighters responded and were investigating the source of the smoke when flames erupted from the coach’s exhaust, officials said. The vehicle was reportedly a total loss. No one was injured. I think it’s terrible when people are so worried about being competitive, that they ultimately rob their readers of the kind of value that you come to expect from a blog these days. If I come across a good read on the Internet, I want to share it with my readers – and here is a great example! 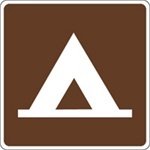 I recently came across an excellent camping blog from Southern Ontario – SO Outdoors Camping Blog. Plenty of excellent posts on the site, but this one in particular caught my attention. Doug Allan has proof that sometimes, the system works. 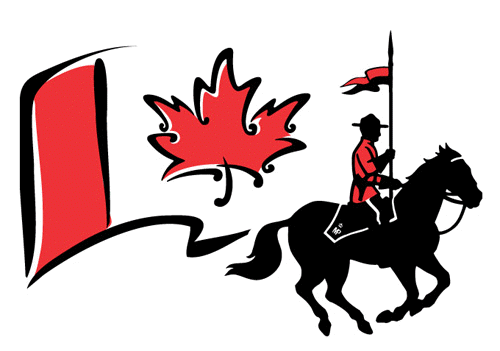 When his RV business in British Columbia, CountrySide RV, was robbed and vandalized last fall, he felt demoralized and frustrated, the Cowichan News Leader, Duncan, British Columbia, reported. First, one of his trailers was stolen from his lot, and just a few weeks later 21 RVs were damaged when a crook broke in with a crowbar and stole a bunch of TVs and stereos. But Allan’s thankful hard work from local RCMP and Duncan’s Crown counsel office put the man responsible for the second incident behind bars. RVers in the market for a new model RV are in luck. 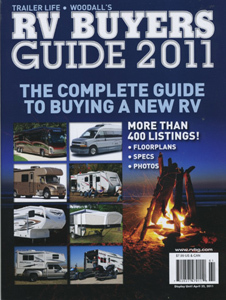 The new RV Buyers Guide 2011 from Trailer Life and Woodall’s has been published. The 176-page directory lists more than 400 motorhomes, travel trailers, fifth-wheels, truck campers, folding camping trailers and sport utility recreational vehicles, according to a news release. Each RV’s profile includes information about construction features, dimensions, popular options, RV weights and towing capacities, standard features, engines on powered RVs, and available options, all of which help buyers compare models from different manufacturers. Floorplans and warranty information are also included. The guide costs $7.99 and is available from its publishers, at some newsstands and at RVBookstore.com. You can also get the RV Buyers Guide 2011 at Amazon! HARRISBURG, Pa., March 17, 2011 /PRNewswire-USNewswire/ – Yellow Creek State Park in Indiana County is the first in the system to reduce its carbon footprint by 20 percent, Department of Conservation and Natural Resources Bureau of State Parks Director John Norbeck announced today. CHICAGO, March 17, 2011 /PRNewswire/ — Planning the dream vacation this year? 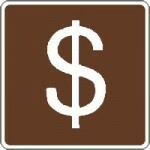 Consider National Plan A Vacation Week, and visit http://www.planavacationweek.com. Built for savvy consumers and supported by professional travel agents, this online extravaganza officially begins this week in March when families are planning their vacations. Have you ever heard about people making money by filling out surveys online? Did you think it was a scam? Did it seem unbelievable? I used to think those things. I used to think it was a pipe dream. That is, until I gave it a try. I made $200 in my first two months. I went through my share of scams too. I decided to keep track of the good and bad and make that information publicly available. I even provide monthly earning reports so that you can see the true side of earning money from paid surveys. Check out www.surveyhacker.com and start earning today! It’s been an interesting couple of years for the economy in North America. It wasn’t that long ago that downsizing held the market share off news headlines as millions of Americans and Canadians lost their jobs. Times were bleak and the word recession was often used to describe the situation. Thankfully those times are moving behind us now, as the economy picks up. Let’s take a look at just how well the RV market is bouncing back. This might be old news to some of you, but that makes it no less of a tragedy. 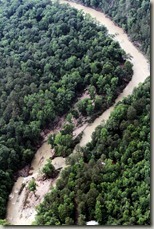 In the early hours of Friday, June 11 2010, a flash flood ripped through the popular Albert Pike Recreation Area campground in Langley, Arkansas. As campers slept peacefully in their tents and RVs, rivers began to swell at a rate of 8 feet per hour. As the flood waters slammed into the campground, many families were left scrambling to get to higher ground in the darkness of the night forest. At the time of this post, 18 campers have been confirmed dead and 22 people are still missing.